Performing for over six decades before audiences across the globe, Jaime Laredo has excelled in the multiple roles of soloist, conductor, recitalist, pedagogue, and chamber musician. Since his stunning orchestral debut at the age of eleven with the San Francisco Symphony, he has won the admiration and respect of audiences, critics and fellow musicians with his passionate and polished performances. 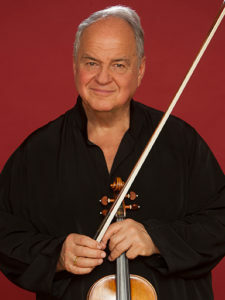 That debut inspired one critic to write: ‘In the 1920’s it was Yehudi Menuhin; in the 1930’s it was Isaac Stern; and last night it was Jaime Laredo.’ His education and development were greatly influenced by his teachers Josef Gingold and Ivan Galamian, as well as by private coaching with eminent masters Pablo Casals and George Szell. At the age of seventeen, Jaime Laredo won the prestigious Queen Elisabeth of Belgium Competition, launching his rise to international prominence. With 2009 marking the 50th anniversary of his prize, he was honored to sit on the Jury for the final round of the Competition. In the 2017-18 Season, Mr. Laredo tours the United States as conductor, soloist and as a member of the award-winning Kalichstein-Laredo-Robinson Trio, which continues its 40th Anniversary celebration. This season on violin, he reprises André Previn’s Double Concerto for Violin and Cello, with his wife, cellist Sharon Robinson in Vermont. Performances of this work have received raves since its 2016 premiere. It was commissioned specifically for the duo by the Cincinnati, Kansas City, Austin, Detroit, Pacific and Toronto symphony orchestras, as well as the Deutsche Kammerphilharmonie Bremen and the Swedish Chamber Orchestra. A new double concerto by Chris Brubeck is their next collaboration. Additionally, Laredo’s remarkable sound can be heard on viola in Mozart Sinfonia Concertante on tour throughout Vermont and at Carnegie Hall with Pamela Frank, his friend and onetime student. Ms. Ngwenyama came to international prominence when she won the Primrose International Viola Competition and the Young Concert Artists International Auditions at age 17. Plaudits followed her debut recitals at the John F. Kennedy Center for the Performing Arts in Washington, DC, and at the 92nd Street Y in New York City. In 1998, she received the prestigious Avery Fisher Career Grant. Ms. Ngwenyama has since performed with the Atlanta, Baltimore, and Indianapolis symphonies, the Los Angeles Philharmonic, and the National Symphony Orchestra. She has been heard in recital at Tokyo’s Suntory Hall, the Louvre, the Ford Center in Toronto, and the Maison de Radio France. Summer festival appearances include Green Music, Vail, San Diego’s Mainly Mozart, Chamber Music Northwest, Marlboro Music Festival, Spoleto USA, and Burgundy’s Musique et Vin. Recent highlights include an appearance with the Sinfonietta Cracovia performing Penderecki’s Viola Concerto, and at the Kimmel Center in Philadelphia and on the People’s Concert Series in New York City with the Kalichstein-Laredo-Robinson Trio. 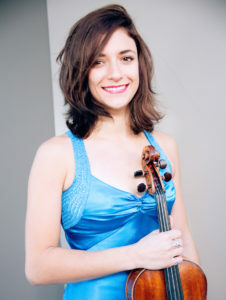 She performed with the Phoenix Symphony and Maestro Ignat Solzhenitsyn, gave recitals in Los Angeles and Oakland with the world premiere of Byron Adams’s Sonata for Viola and Piano, and appeared with Bruno Mars on Saturday Night Live. Ms. Ngwenyama also performed at Nexus Hall in Tokyo’s Chanel Tower and the Xi’an Conservatory of Music, where she is a visiting professor. In recent years, she was chosen for the coveted Duncanson Artist-in-Residency at the Taft Museum. Ms. Ngwenyama’s performance at the White House, commemorating the 10th anniversary of the radio show Performance Today, also featured artists Wynton Marsalis, James Galway and Denyce Graves. She has testified before Congress on behalf of the National Endowment for the Arts and is an avid educator, having served as visiting professor at the University of Notre Dame and at Indiana University. 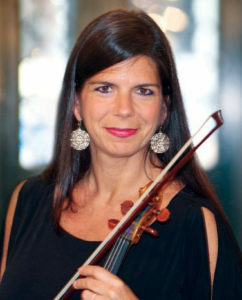 She is past-director of both the Primrose International Viola Competition and the American Viola Society. She spearheaded an award-winning string program for Biltmore Preparatory Academy, a public school in Phoenix, Arizona and performed with the Japanese group The Surfing Godzillas as both instrumentalist and vocalist. 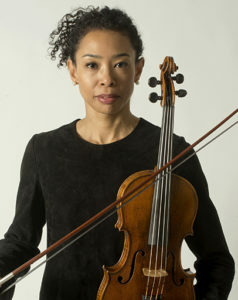 Born in California of Zimbabwean-Japanese parentage, Ms. Ngwenyama studied at the Colburn School’s Community School of Performing Arts before attending the Curtis Institute of Music. As a Fulbright Scholar, she attended the Conservatoire National Superieur de Musique de Paris, and received a Master of Theological Studies degree from Harvard University. Ms. Ngwenyama has composed since childhood and was first recognized in a Los Angeles Unified School District competition. She later studied theory, counterpoint and composition under Dr. Herbert Zipper, Mary Ann Cummins, and Warren Spaeth at the Crossroads School for Arts and Sciences. While studying at the Curtis Institute of Music, her theory teachers included Edward Aldwell, David Loeb, and Jennifer Higdon. Her works have been performed in the United States, China, Zimbabwe, South Africa, and Czech Republic. 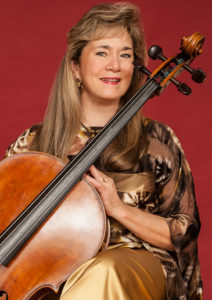 She is the first composer in residence of the Phoenix Chamber Music Society, appointed in their 57th season. 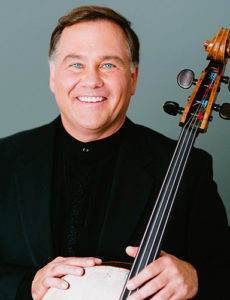 Cellist Keith Robinson is a founding member of the Miami String Quartet and has been active as a chamber musician, recitalist, and soloist since his graduation from the Curtis Institute of Music. He has had numerous solo appearances with orchestras including the New World Symphony, The American Sinfonietta, and the Miami Chamber Symphony, and in 1989 won the P.A.C.E. “Classical Artist of the Year” Award. His most recent recording released on Blue Griffin Records features the complete works of Mendelssohn for cello and piano with his colleague Donna Lee. In 1992, the Miami String Quartet became the first string quartet in a decade to win First Prize of the Concert Artists Guild New York Competition. The quartet has also received the prestigious Cleveland Quartet Award, won the Grand Prize at the Fischoff Chamber Music Competition, and was a member of Chamber Music Society Two. Mr. Robinson regularly attends festivals across the United States, including the Santa Fe Chamber Music Festival, Music@Menlo, Kent Blossom Music, Mostly Mozart, Bravo! Vail, Savannah Music Festival, and the Virginia Arts Festival. Highlights of recent seasons include international appearances in Bern, Cologne, Istanbul, Lausanne, Montreal, Rio de Janeiro, Hong Kong, Taipei, and Paris. Mr. Robinson hails from a musical family and his siblings include Sharon Robinson of the Kalichstein-Laredo-Robinson Trio, and Hal Robinson, principal bass of the Philadelphia Orchestra. He plays a cello made by Carlo Tononi in Venice in 1725.